the lazy summer before being an adult. To answer your questions that all must be dying to know… What have all of these adventures been this summer? In the midst of all of these great things, I’ve also had some boring days, setbacks from participating in my first duathlon, and just being depressed. But, as I sit here writing, I’m realizing how amazing everything that’s going on really is. And that maybe, if I took the time to sit down and write about my adventures, and share my stories, I would have been able to slow down and really appreciate the whirlwind of everything going on. I’m not bored of all of the amazing things I have done. I’m bored of myself- and how I haven’t been living in the moment. So here’s to my last three weeks in West Michigan before heading to the great city of Ann Arbor for the next four years of my life. And I’m going to *try* to cherish each moment, or at least fill it with a childhood memory. Each day is a gift, a journey and adventure. 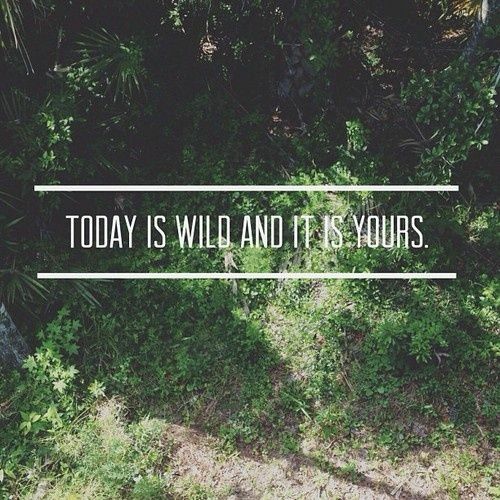 A chance to be wild. Don’t sleep through it. Don’t think through. Just do it. Posted in Uncategorized	Tagged adventures, California, college, cottage, Michigan, nature, summer, travel, University of Michigan, UP, Washington D.C.
Posted in Uncategorized	Tagged Chicago, cooking, Food, Lollapalooza, photography, school, summer, travel, Washington D.C.